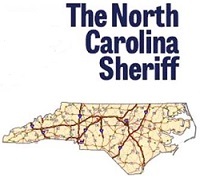 The Sheriffs of North Carolina feel that the scholarship program sponsored by their Association will assist many prospective personnel for Sheriff’s Offices as well as other law enforcement agencies across the State. The Sheriffs of North Carolina are extremely pleased to be able to make these awards available to students. The monies for these scholarships are made possible through membership dues paid by the Honorary Citizen and Business Members of the North Carolina Sheriffs’ Association. Eligibility: Twelve scholarships are offered each year to full-time North Carolina resident undergraduate students majoring in criminal justice, one for each UNC constituent institution that has a criminal justice program. Value: These scholarships are valued at $2,000 per year. Application Procedure: Recipients of the scholarship are chosen by the financial aid office at the constituent institution of the University of North Carolina that the student plans to attend or is currently attending. The student must obtain a letter of recommendation from the Sheriff of the county in North Carolina where he or she resides. Applications are available from the school’s financial aid office, and after completion, should be returned to the school’s financial aid office. To assist NCSA in providing scholarships like those listed above, consider becoming an Honorary Member of the North Carolina Sheriffs’ Association today!